Improving your home decor will enlighten your mood. Did you know that you can use old plates, empty frames, vintage mirrors, empty bird cages, hats, old chains and many other spontaneous items to ornament your walls? A wall is a lot more than a structure that defines the area to provide shelter or security. It’s a space of your own life, able to react and interact with your feelings. 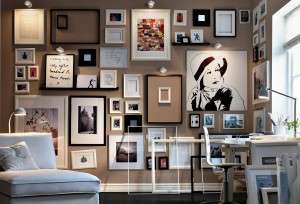 Check out this incredible list of 10 ways to decorate your walls, from a basic accent wall paint to a creative crazy decorative item. Enjoy the tips and tricks listed! 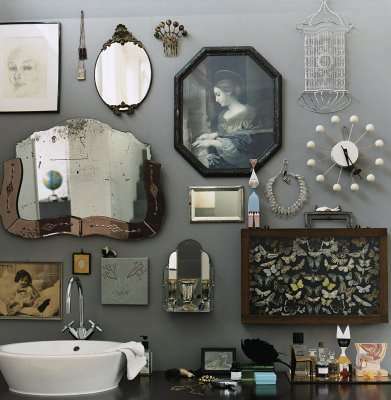 The most familiar and practical way to fill up your walls with class and style is to add accent wall paint. 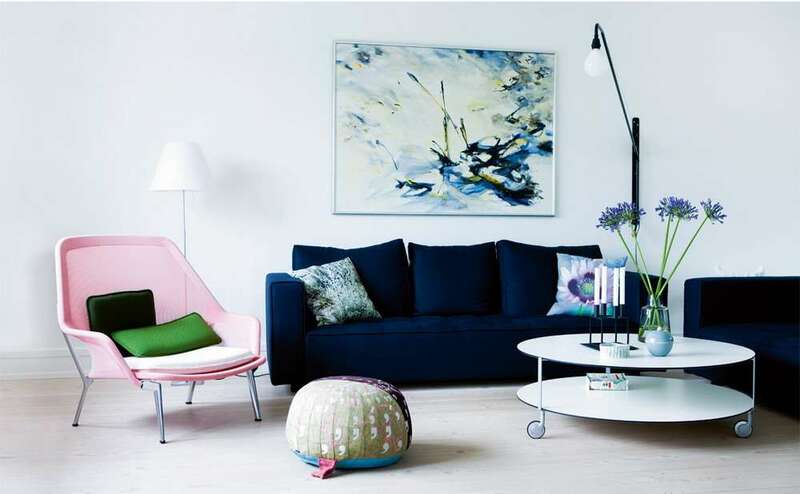 When picking a plain or pastel color, make sure to add one of the decorative items mentioned: framed painting, wood shelves, glass mirrors, etc… Although you can always paint over it to fix it, picking the color that you’ll be seeing every day (even before your morning coffee) is not an easy task. 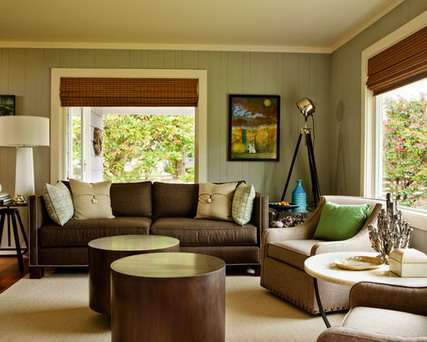 Here are some tips to get you inspired in case you choose to add the accent wall paint to your home decor. To ease the process you have to keep in mind the floor color and the light. 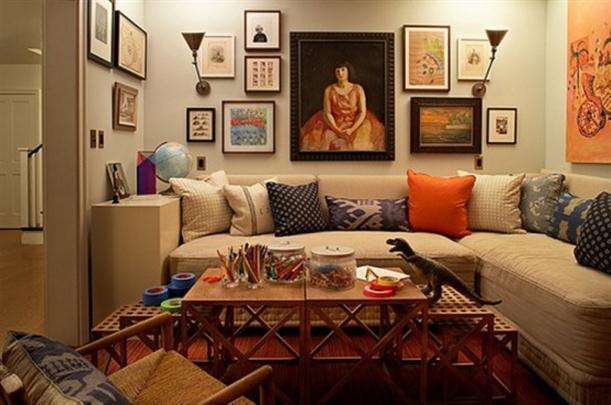 Make sure to always lighten up the mood with bright accent pieces and good lighting. Use a small color wheel as it makes choosing and mixing colors way easier. Did you know that tinted ceilings can change the whole look of a room? Don’t hesitate adding a stronger color on the ceiling to make the contrast of the light walls. However, a white ceiling is usually the best when your walls are of a bright color. 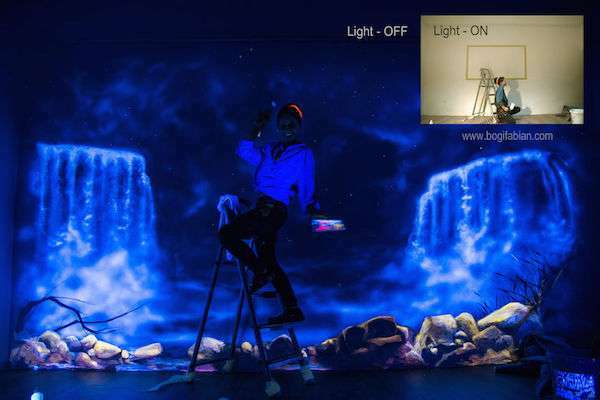 Consider using ultra green or ultra blue glow in the dark paint. Ultra green is the brightest glow in the dark paint, it will appear bright during the first hour while continuing to glow all night. Ultra blue is also very bright and will seem really close to the color of real stars. If you want your artwork to appear during the day light, avoid thin layers or too many redundant layers. As I said above, an empty accent colored wall may appear dull throughout the days. Paintings, photographs and framed artworks or canvases will bring your walls to life again. 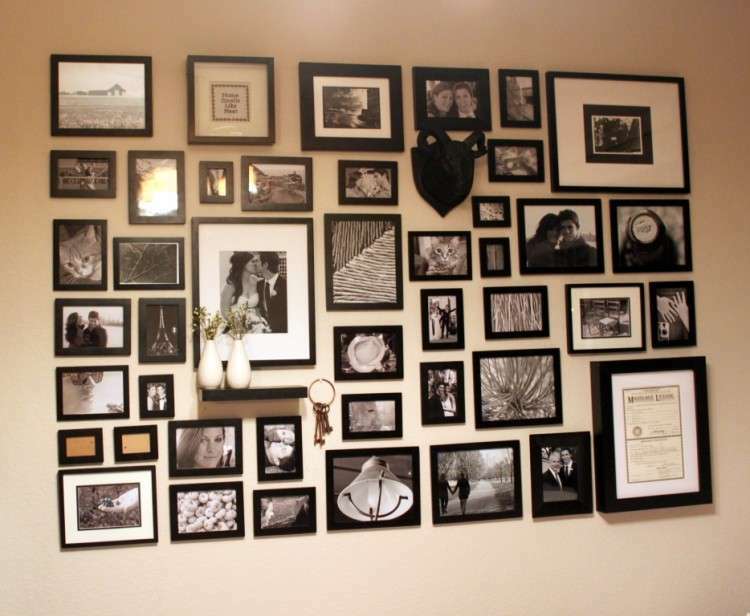 Although the process seems easy, hanging a picture properly and creatively is a lot more than a random task. Some prefer it simple and others vivid or chaotic. As there are trends for your clothes each season, there are trends you can follow for each season to spruce up your art hanging. 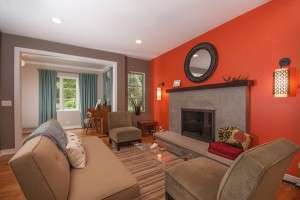 Make sure to consider your wall paint, light, environment and style. 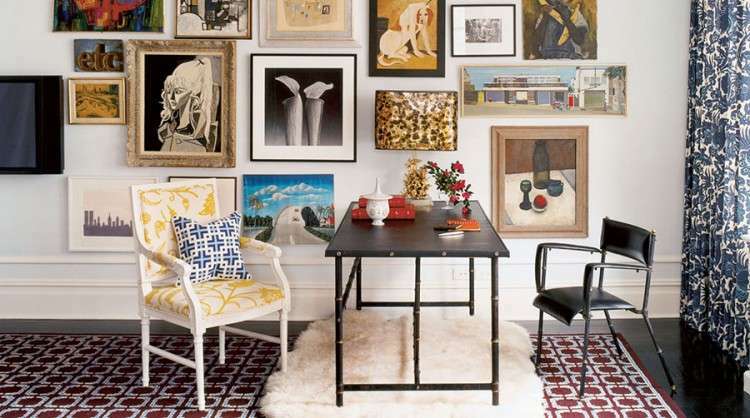 Here are some tips to consider and apply while hanging your art. 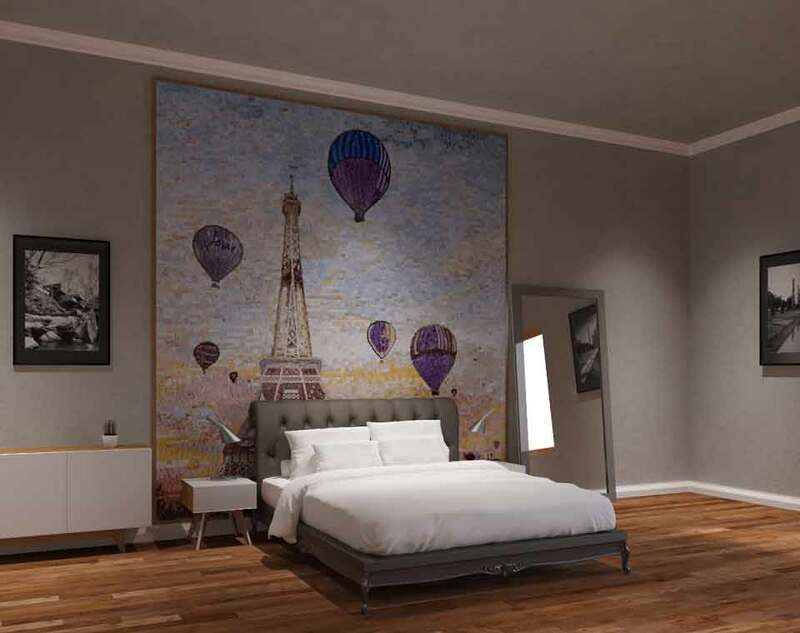 Consider your wall paint color, light and environment before adding any decorative item on your murals. Sometimes trendy designs will dazzle you but you can’t always follow the trends. 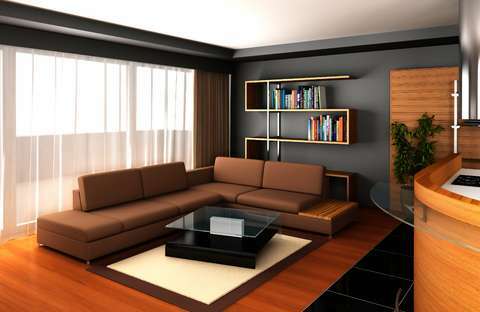 Respect your home decor and ornaments and make it fit your style! 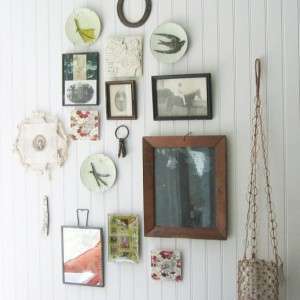 Make sure to have a ruler or a measurement tool while hanging your artworks. Never Forget using a painter’s tape when you’re trying to figure out the best arrangement. 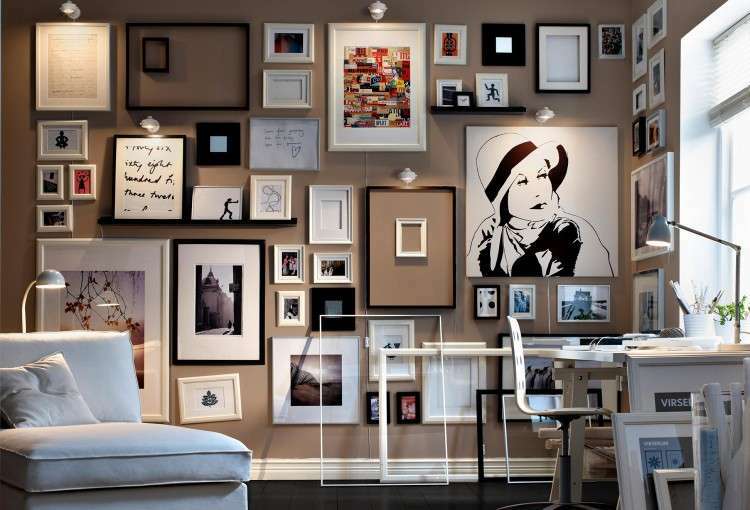 Before hanging anything on your walls, make sure you have a template of the decor on a piece of paper or at least in your mind. It’s the safest way! Nothing brings your home to life like colorful shades of tiles, which create varied hues and evoke emotions to the area. 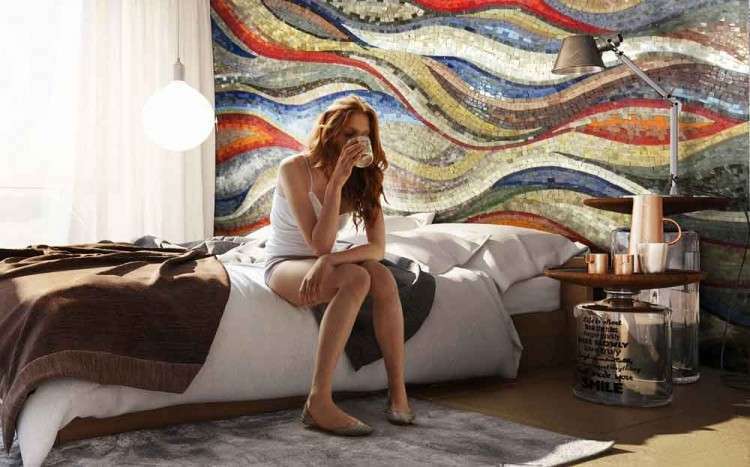 Choosing the right mosaic mural will make you feel at ease and will later on energize your entire day. The area filled with a mosaic mural will no longer need wall paint, as mosaics are everlasting. 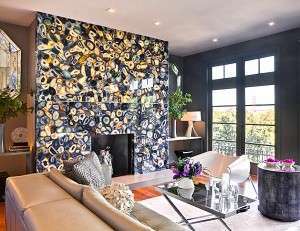 Match the mosaic mural to your home decor. It all depends on the type of design in the artwork. 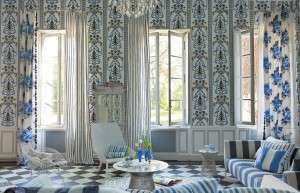 The designed patterns should fit the style of the space. Whether you prefer a modern, rustic or an exquisite Italian design, plenty of areas in your home will greet a mosaic artwork fervently. 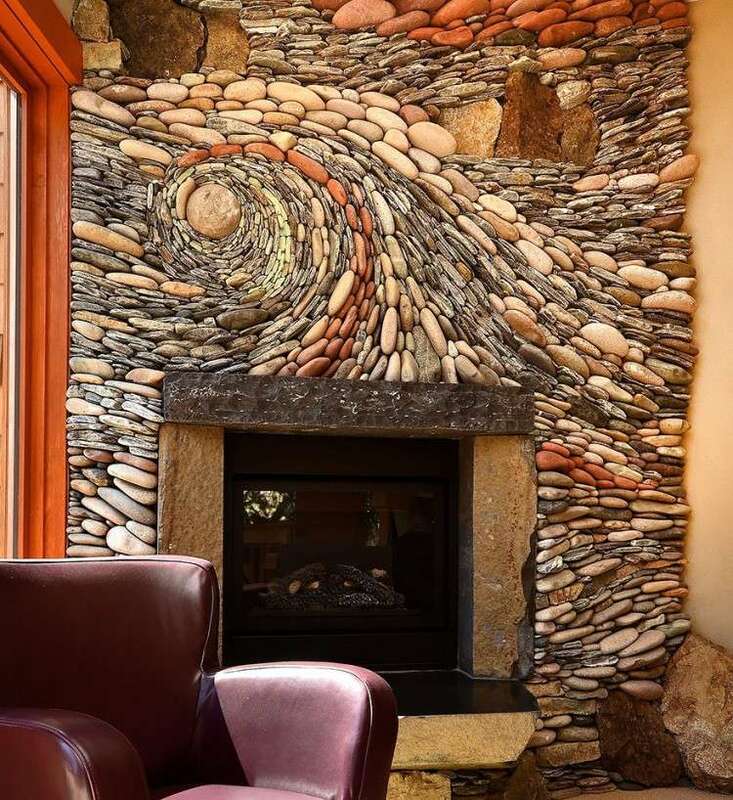 From your bohemian bedroom, to your modern living room or rustic styled kitchen, a mosaic backsplash or mural brings a level of intrigue to any style. Mosaic artworks are known to last a lifetime, therefore choose a design you’ll love day after day. Here are some tips to get you inspired! Marble tiles last longer than glass tiles. 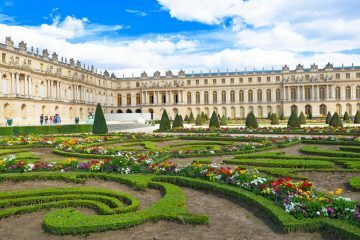 If you really love a piece, choose marble tiles. Artworks with both marble and glass tiles always look ravishing because the lines of the design look clearer. When you have to install a mural, be careful to pick a grout color that contrast the artwork. The medium gray works best. 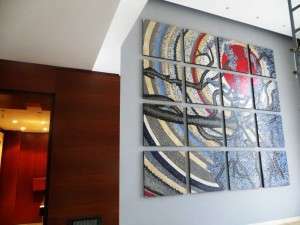 If you’re not a fan of really big murals, you can choose a micro mosaic artwork, to frame and hand as your wall art. 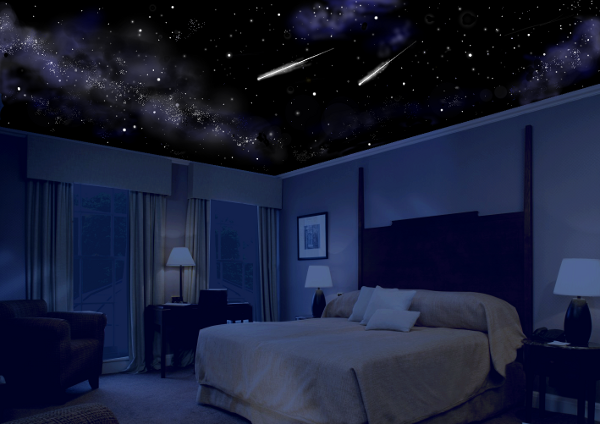 Transform your ceiling into a limitless dimension, where the night sky and cosmos manifest themselves over your head while you sleep. 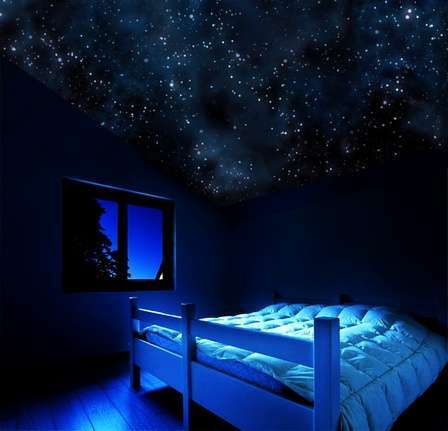 We all used to have these glow in the dark stars stickers as children. Nowadays however, these small stars are emerging into a new aspect where the glow could last longer and the feeling is more realistic. 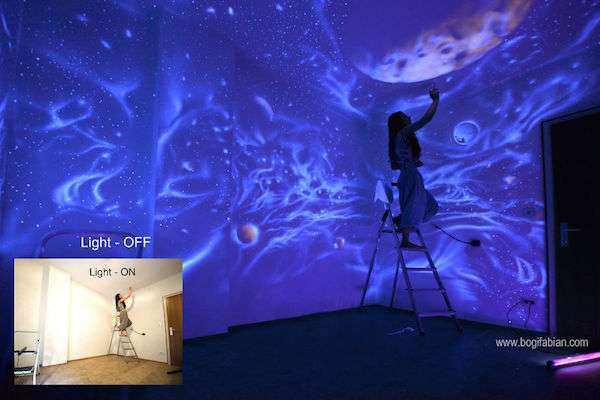 A glow in the dark cosmic scene print on a poster will allow all aspects of nature surround you. 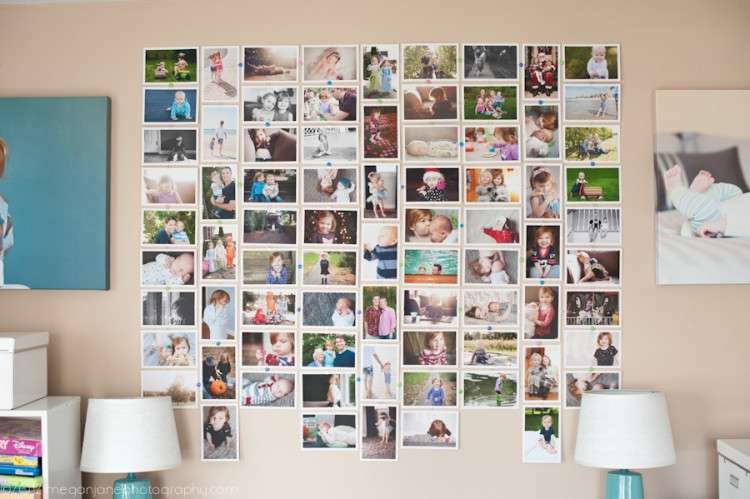 Wallpapers, stickers or print posters are a cool and trendy way to ornament your ceilings or any part of your home. Here are some tips you need to know to get started. 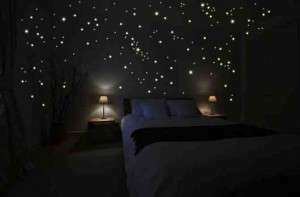 Consider putting a medium-weight lining paper on the wall before sticking your glow in the dark wallpaper. Print posters are easy to apply but sometimes it’s hard to choose the right grams and paper transparency. Feel free to ask the help of a print house to make sure your designs get printed properly. Glow in the dark stickers are beautifully blissful but the glow won’t appear in the daytime. It’s virtually impossible to photograph them, the results will appear dull even at night because of the flasher. 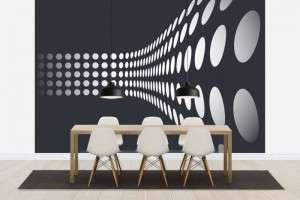 There’s a huge variety of wallpaper patterns, from a discreet neutral color to vintage prints to psychedelic vibrant designs and modern textured designs. A textured wallpaper will spice up your home decor and give it a feel of exquisiteness and class. Sometimes applying a wallpaper can be scary for beginners, but it doesn’t have to be if you keep a few things in mind before you start. First you have to keep in mind the location of where you want your wallpaper to be. Always use a moisture resistant wallpaper, if you are looking to apply it in the restroom. A stain-resistant wallpaper will be perfectly applied in the kitchens and hallways. Make sure that your wallpaper rolls will be from the same run number in order to avoid slight differences in color. 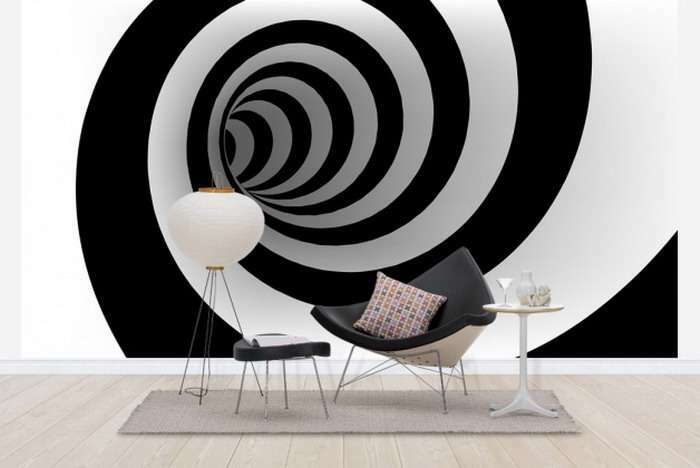 Add a new dimension of style to your walls with eye-catching optical illusion wallpaper. These artworks are a little bit more expensive than textured wallpapers, but will definitely catch the attention of whoever is interested in the unlimited ocean of techs. Suitable for small rooms, you can apply it behind your desk or at the sitting area of your home. 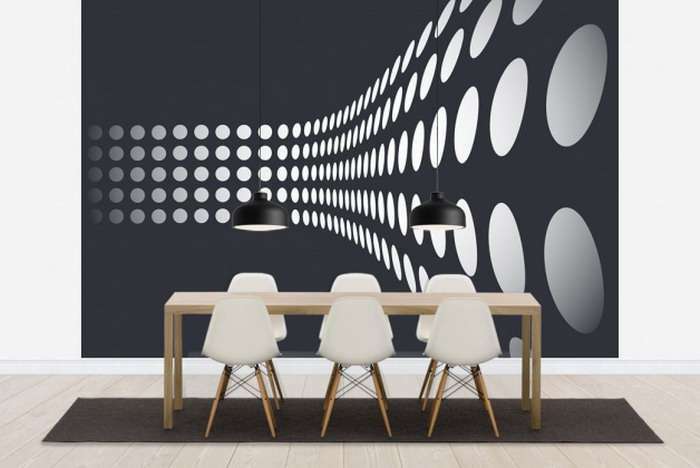 Here are some tips to keep in mind if you’re thinking of applying an optical illusion wallpaper. 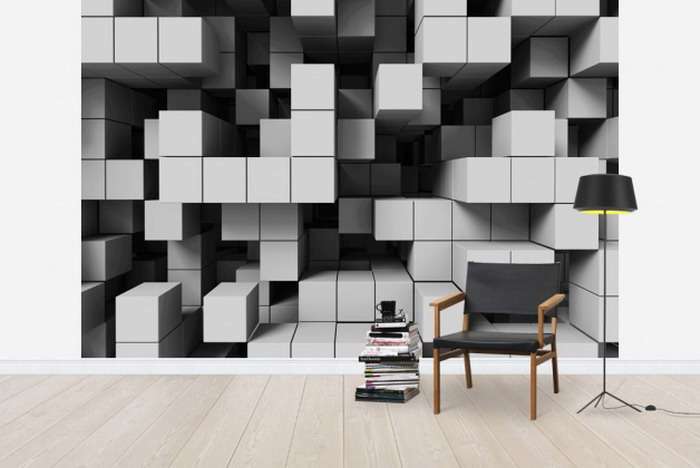 Before you think of applying an optical illusion wallpaper, you have to know that it won’t be applied on the entire wall. Optical illusions wallpaper are expensive according to traditional wallpapers but a lot more cheaper than optical illusion oil or acrylic paintings. Foil and embossed wallpapers will look cool as an optical illusion wallpaper, but make sure to use a clear adhesive to prevent leaking. Avoid picking flocks wallpapers if the print will be on paper, it won’t last for long compared to its price value. 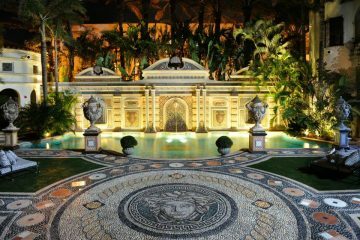 Stone art designs are typical to mosaic artworks sometimes a little bit more dimensional depending on the quality of stones. 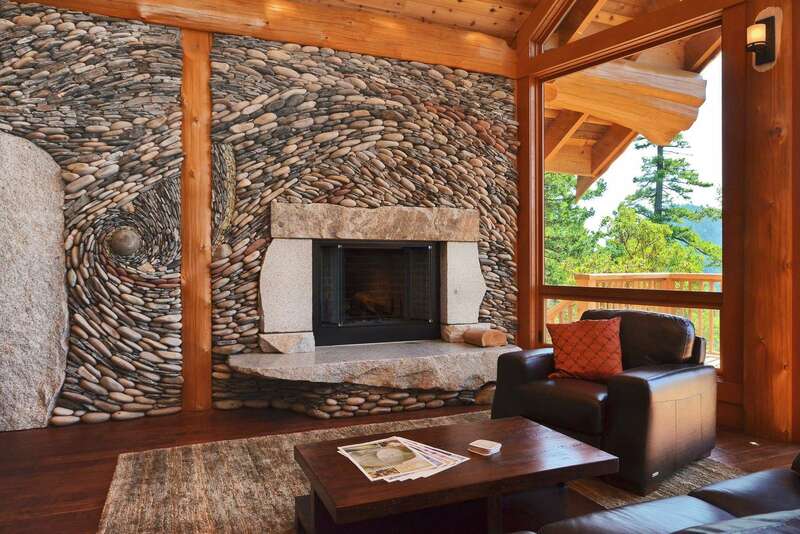 Hand picked natural stones are the perfect choice for a rustic design. 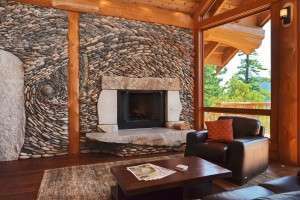 As noticeable in the artworks below, stone art will look wonderful near a fireplaces or cave and will be a great idea to ornament your chimneys. As I said about marble mosaic artworks, stone art will be an everlasting design, so make sure to choose what inspires you once and for a lifetime. If you’re looking forward to apply stone art, be prudent while using grout, as it crumbles and won’t concrete off the tiles. To avoid ruining your stone artwork, here are some tips to follow. Always test your adhesive on one or two stones to make sure the glue will bond well with the quality of stones. Make sure to allow the glue to cure for at least 48 hours before you grout. To keep grout from crumbling, reinforce it with gravel and iron bar. Make sure to clean the residue on the surface of the stones the day after you grout. What do you think about these images? This time it’s not a wall but a door created by the Italian based multidisciplinary Armin Blasbichler. When natural light streams through the stained glass, the hall gets filled with colorful patterns of various shades. What do you think of this incredible mosaic like design? 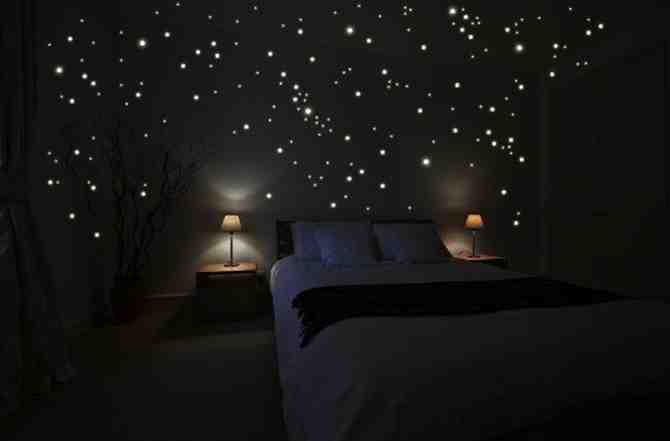 I think these seem flawlessly wonderful on walls too. Stained glass is usually used to ornament windows and glass areas. Although they aren’t yet applied on walls but can spontaneously beautify your walls with a vibrant touch . 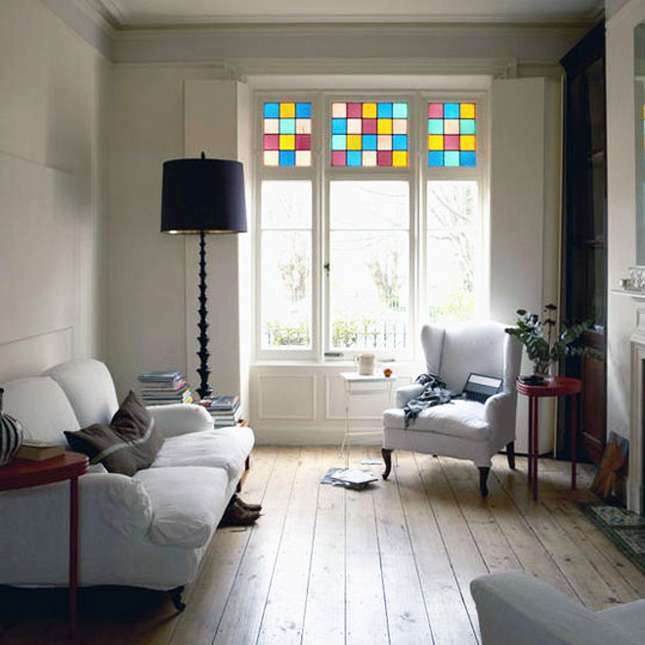 Here some tips about stained-glass to get inspired. 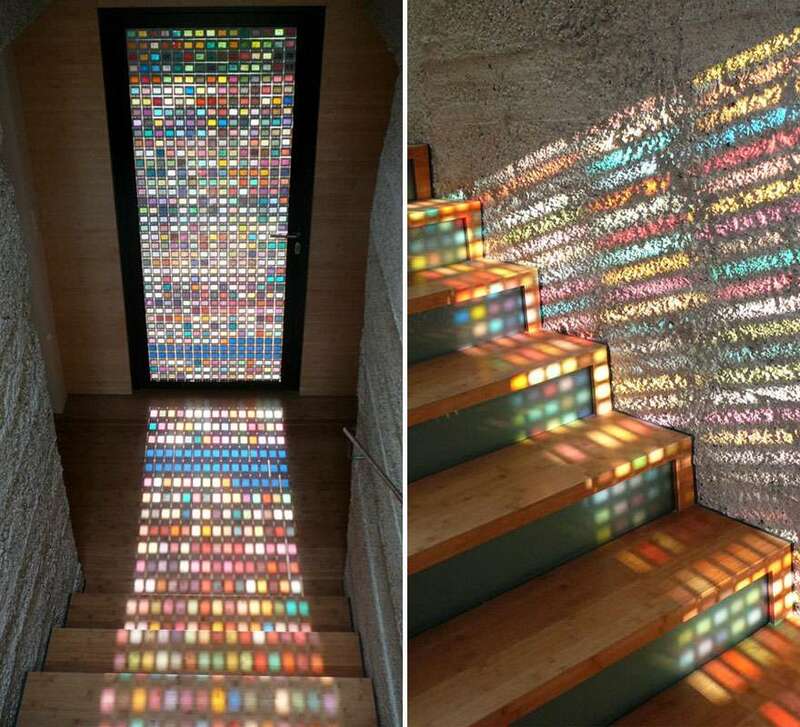 You need to know that stained glass is always beautiful, and Pantone swatches are just a cool hipster factor. You have to be aware of which lighting conditions are needed for it to actually color match and reflect vibrantly. 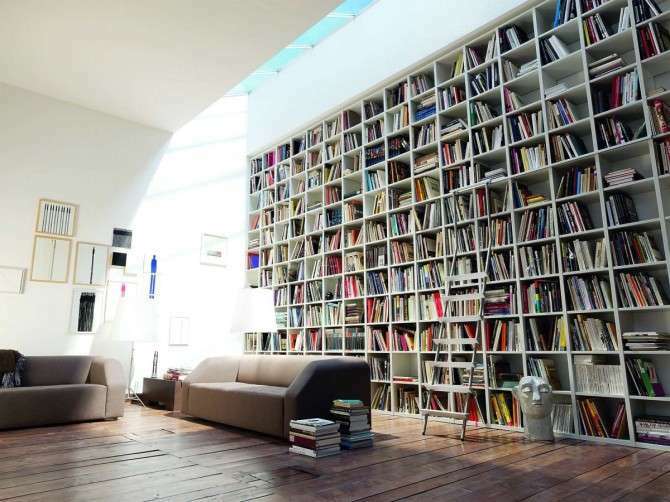 Bookshelves will add excitement and knowledge to your walls and spontaneously fill it with colors and dimension. 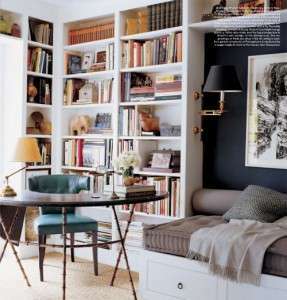 Consider being creative with your bookshelves: turn a styleless mantel into a show-stopping decorative space. 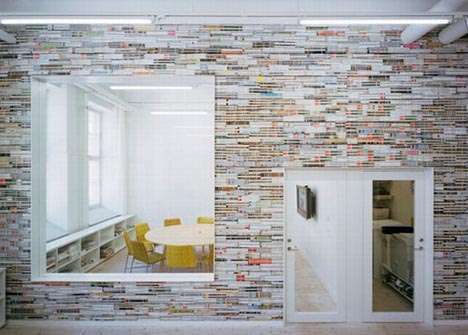 Wall libraries are usually cool, but a corner bookshelf will save up space in small rooms. 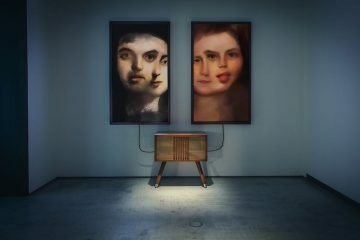 Some people love to combine their TVs and family photos with books, and as long as it represent their style it would look rich. 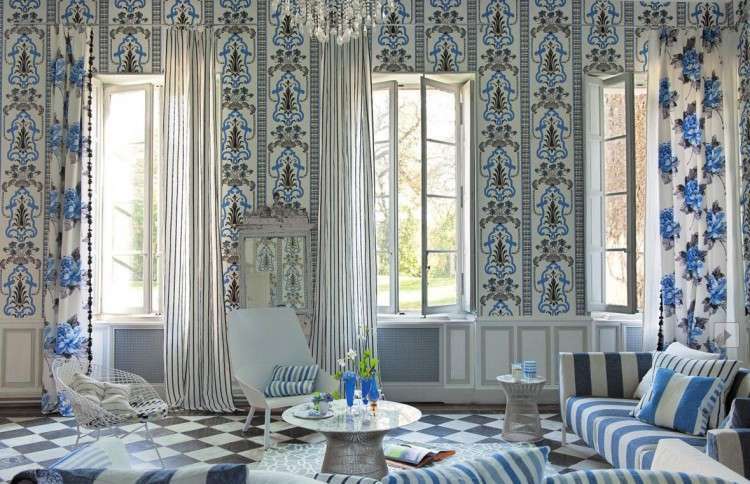 Here are a few tips to consider for decor inspiration. 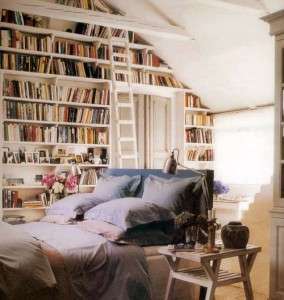 Never place bookshelves or heavy objects to cover damaged walls, during an earthquake, everything off those shelves could come crashing down on top of you. Sum up your room style, in a way that make your bookshelves unique and displaying your true identity. Sometimes it’s cool to ornament your bookshelves not just with books but with personal stuff, like photos, souvenirs and statues. And always keep the scale in mind. Last but not least, through being creative you can allow yourself to make mistakes in order to come up with something innovative. 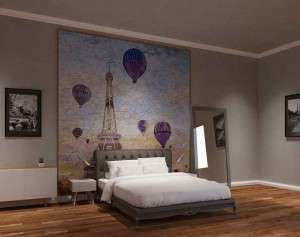 Ornamenting your walls, with plates artworks, old keys, empty frames, vintage mirrors, empty cages or zentangles artworks will not just give your wall an exclusive design but will add your fingerprints to your entire home. 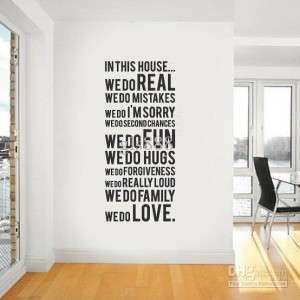 Personal quotations, song lyrics or a phrase that you read in a book will personalize your wall and beautify your area. Enjoy these creative quick tips. Being creative is sometimes related to your physical environment and how many new experiences you expose yourself to. Going outdoors has been shown to boost creativity. Enjoy a vegetarian barbecue in the woods! Do a quick online search to get you inspired. Start creating a zentangle, doodle or paint up your old plate with acrylics. 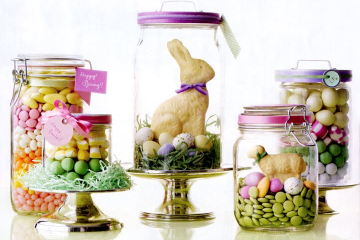 Most importantly enjoy each and every artistic time spent while you’re crafting, creating or decorating. Don’t Forget to Subscribe to our Newsletters for More Updates on Mosaic Art, Decor, Creativity and Much More! You can also discover Mozaico for some mosaic art of your own! These are creative wall decor ideas. 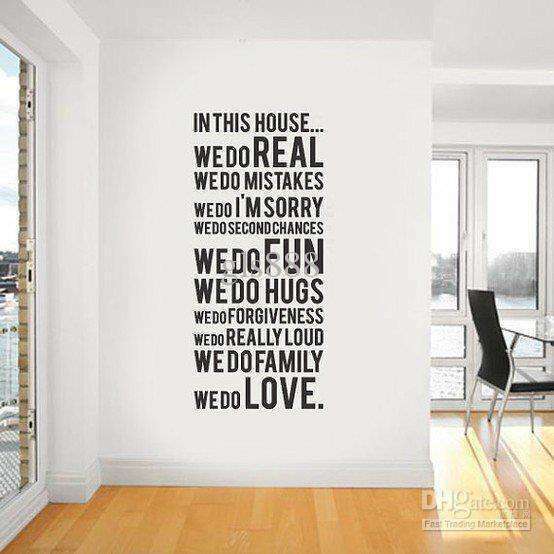 I really liked the idea of printing quotes on the walls. So inspiring!